À 13 heures 18 mn ORDER, LIVRAISON AUJOURD'HUI. 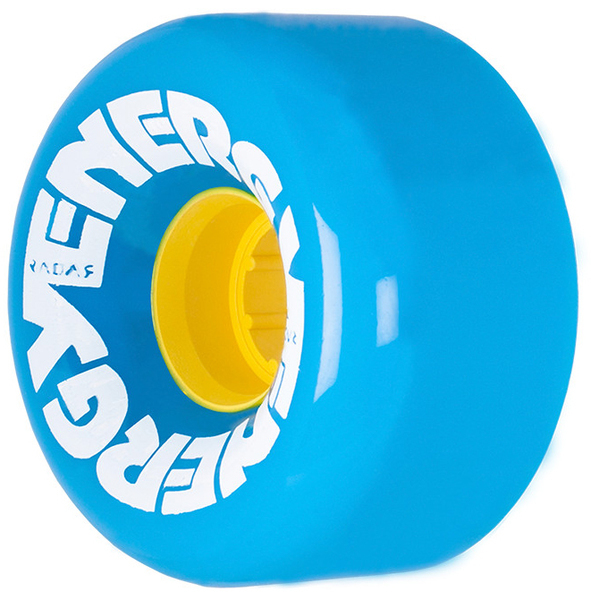 The Energy Wheel is a good choice when it goes outside to skate on asphalt, cobblestones or concrete surfaces. The small hub and the 62mm diameter gives the wheel alot of grip and comfort. You will not feel the surface on which you skate, even if it is a rough asphalt. This makes it easy to ride longer distances. You can not do anything wrong with that typicall standard 65mm sized wheel. The wheel is fast and agile in nearly every situation.